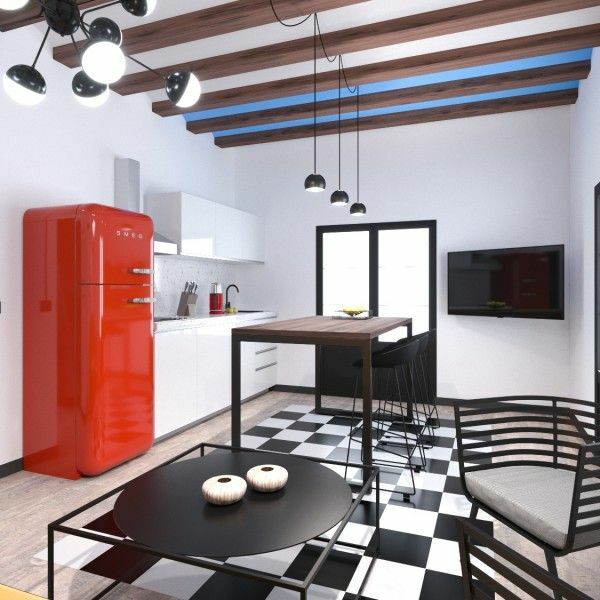 Total area of the apartment is 72 m2. 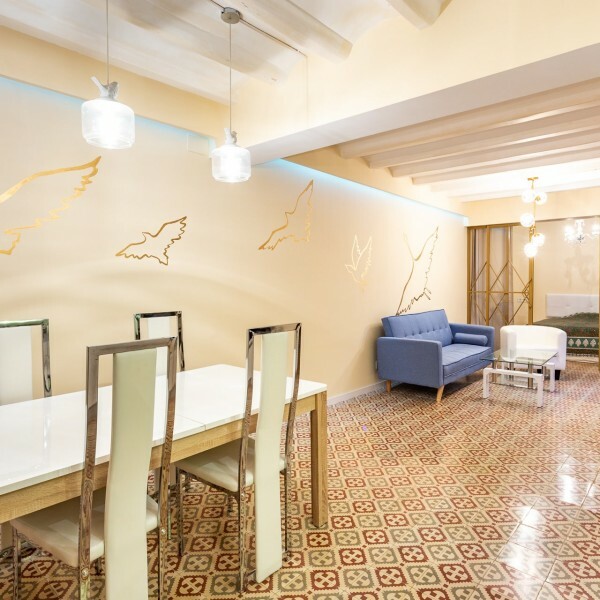 It is located in the central part of Barcelona, in the Raval district. 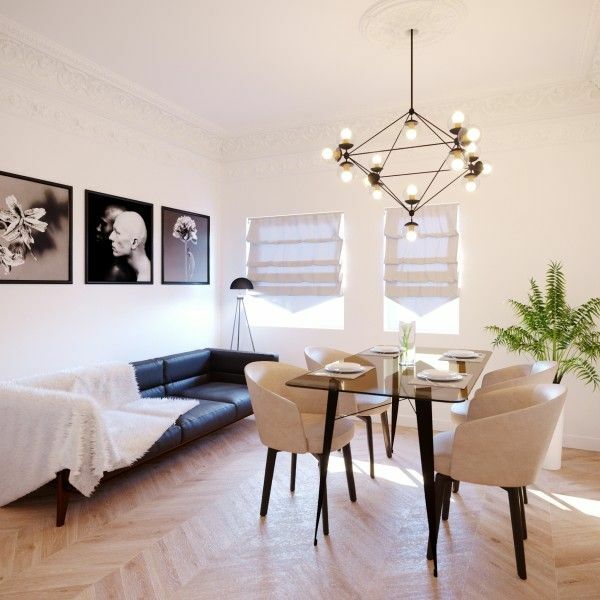 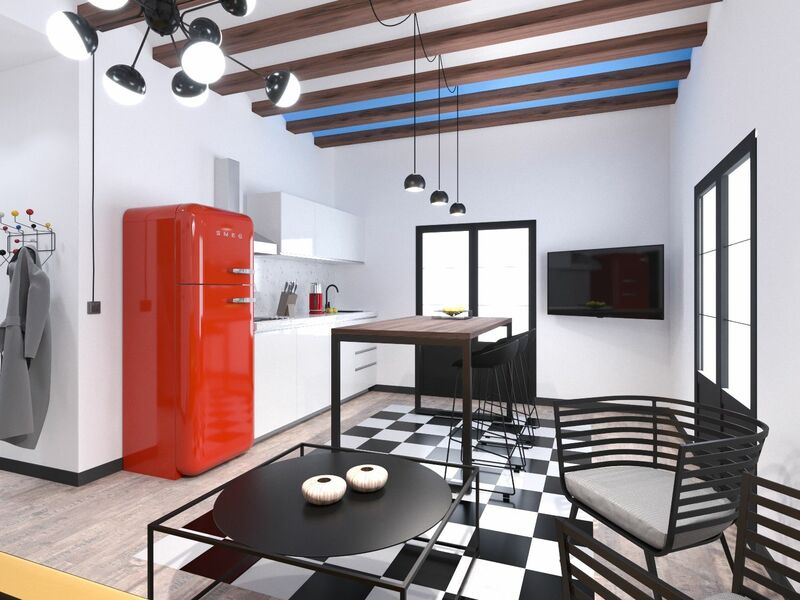 The apartment has 3 bedrooms, one of them is a suite, and a bright living room with a kitchen. 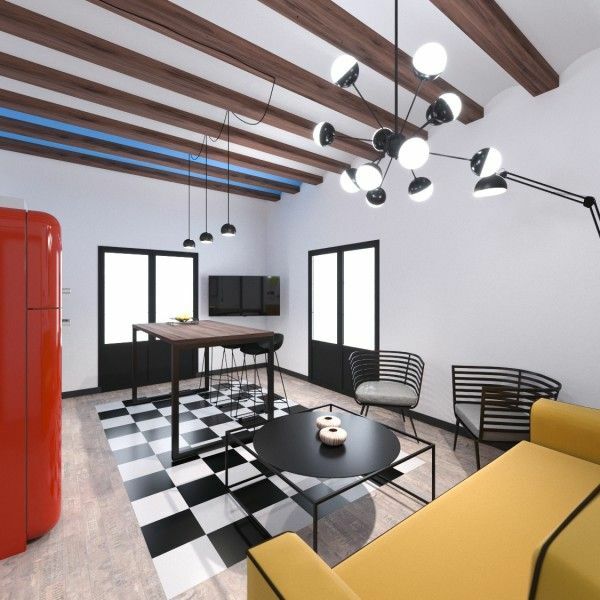 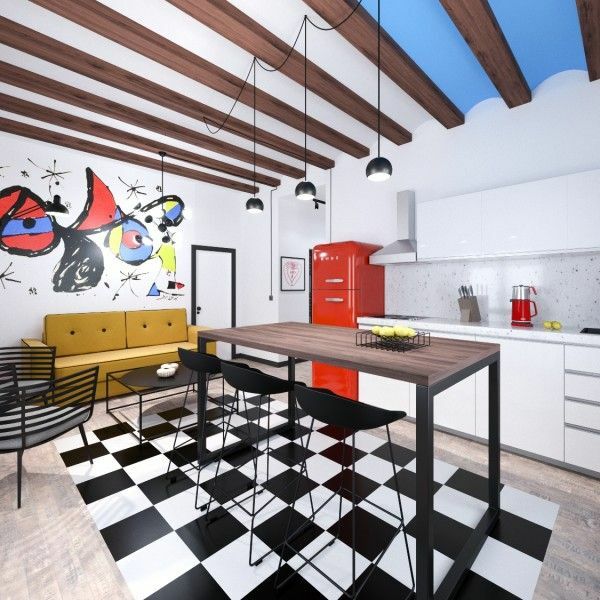 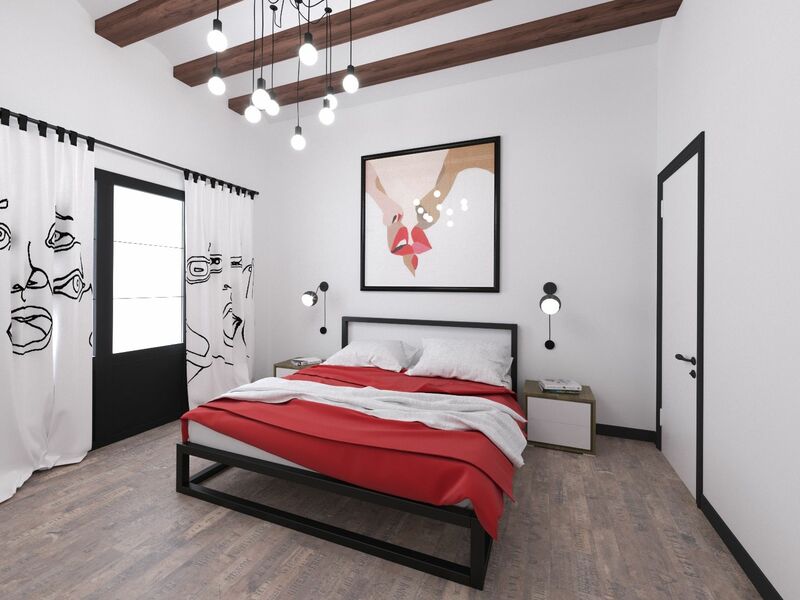 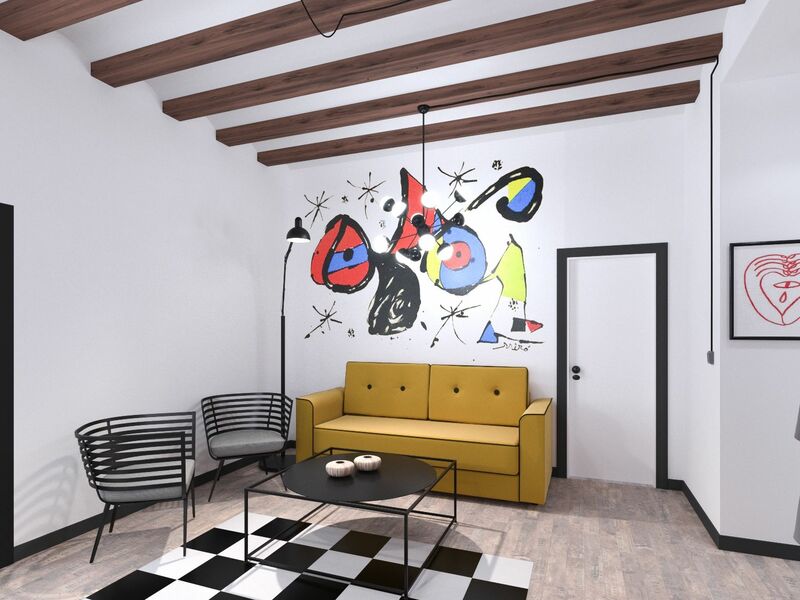 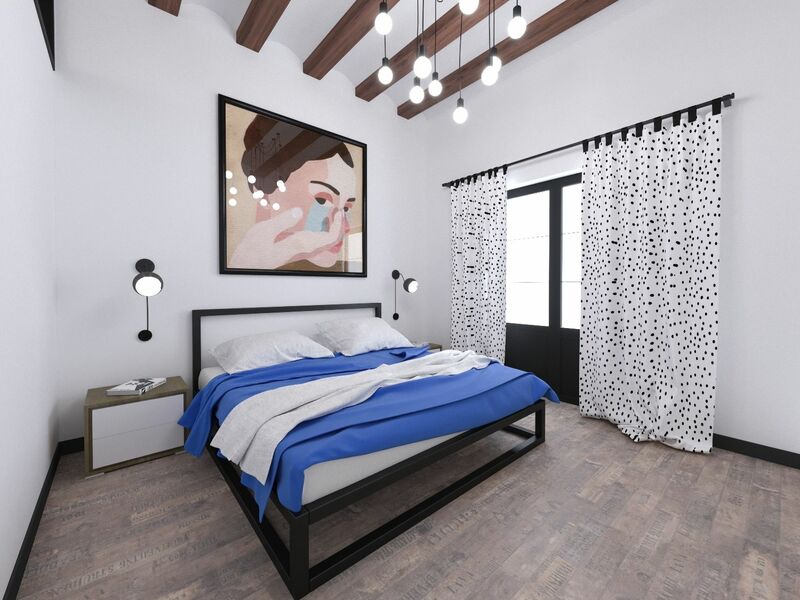 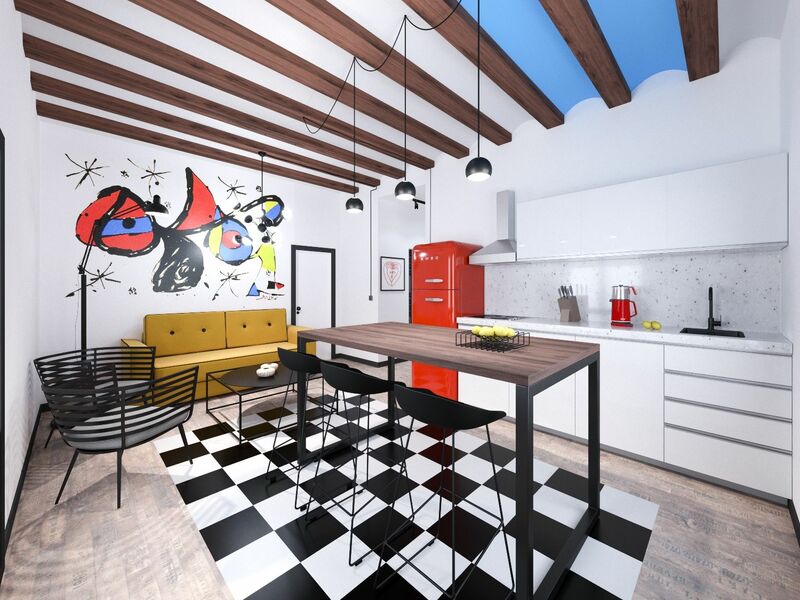 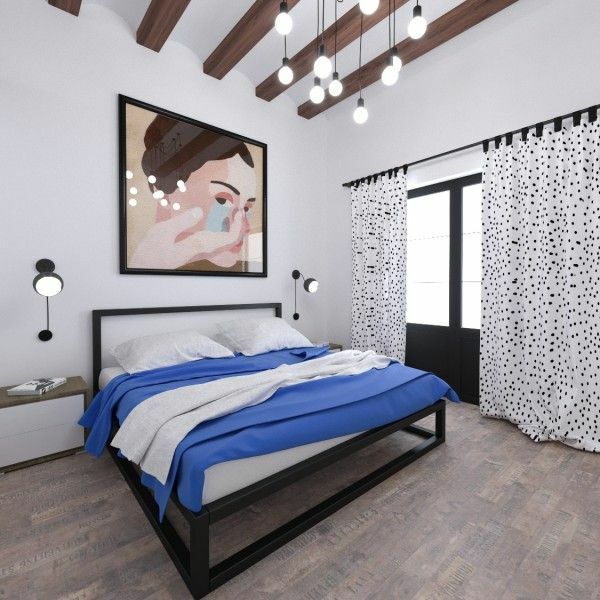 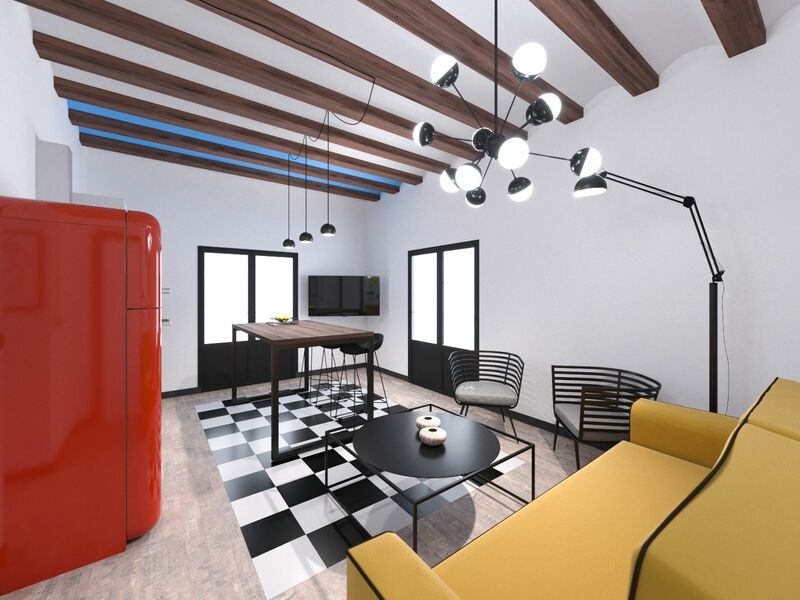 The concept of the apartment was inspired by the art of the Spanish artist Joan Miró. 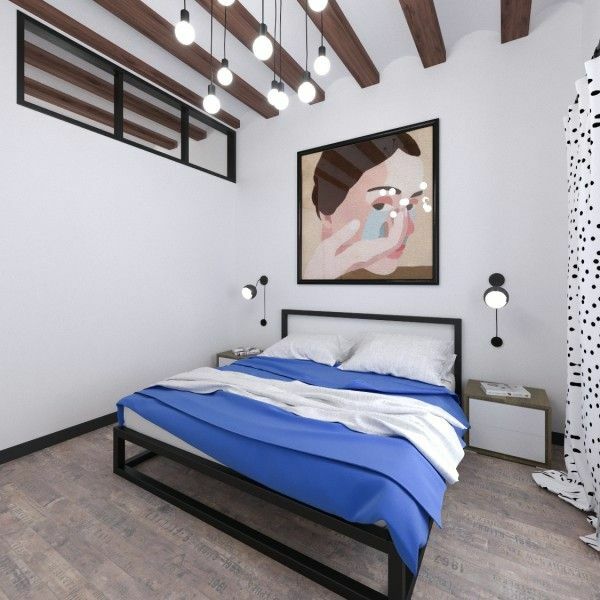 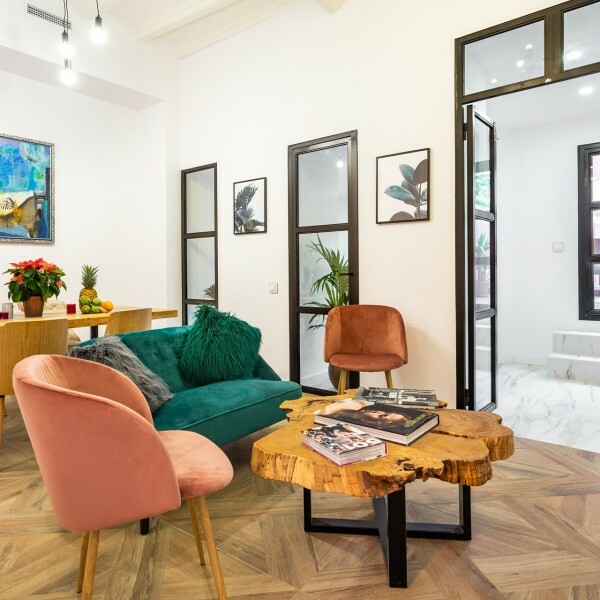 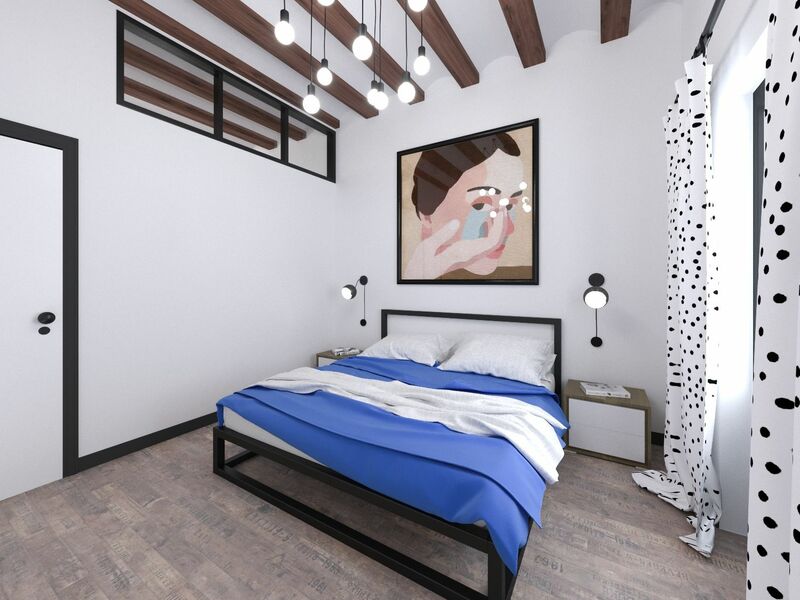 The flat is located close to MACBA (Museum of Modern Art), where there are always a lot of young people, and the atmosphere of the location is always full of creativity, bright colors, and inspires to an active lifestyle. 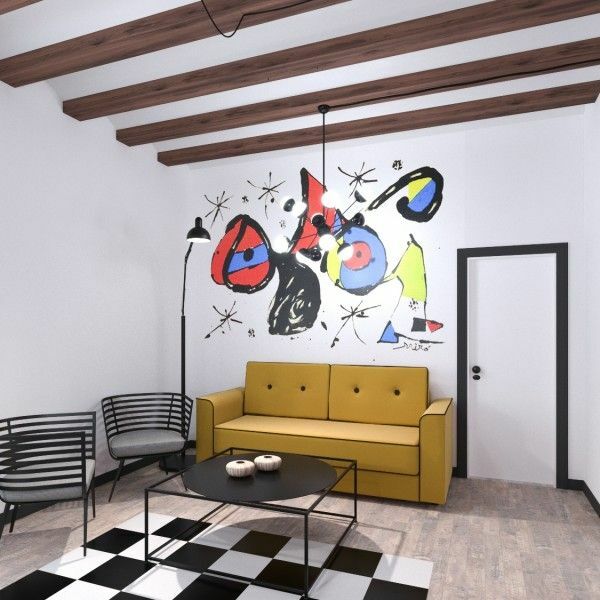 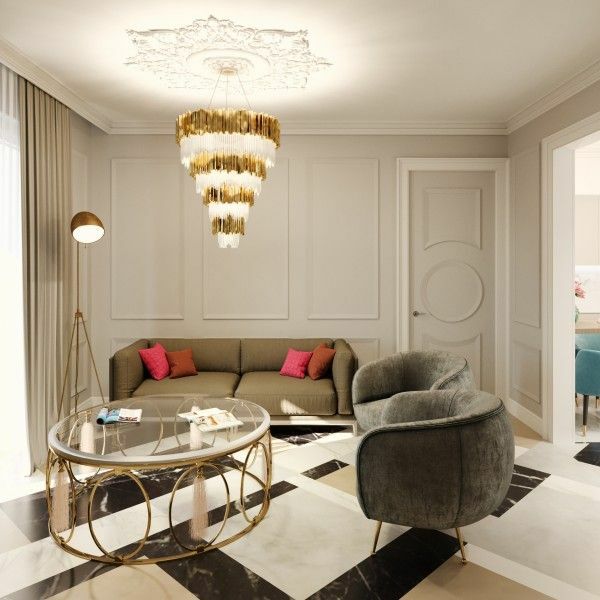 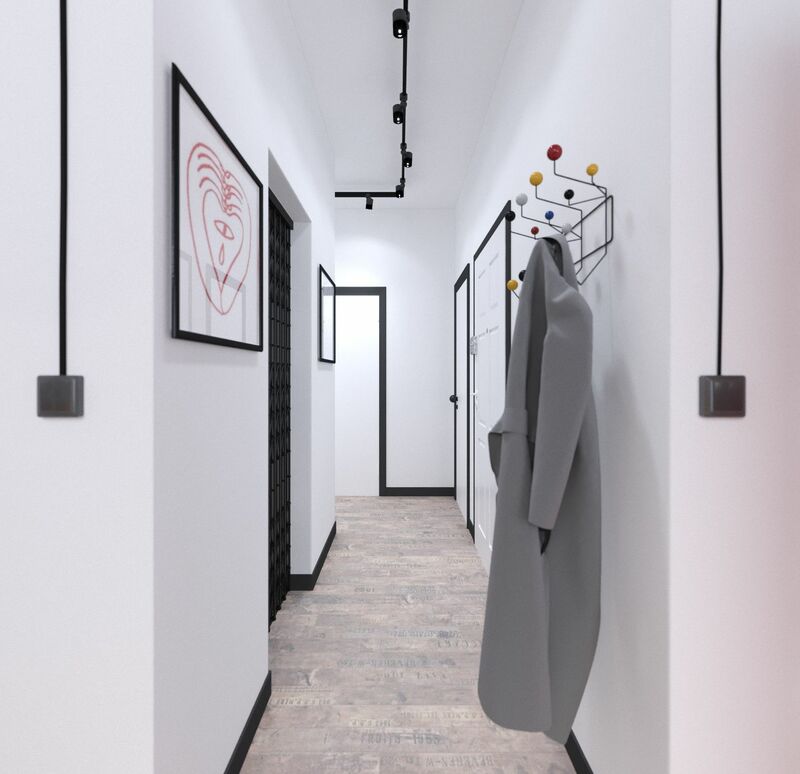 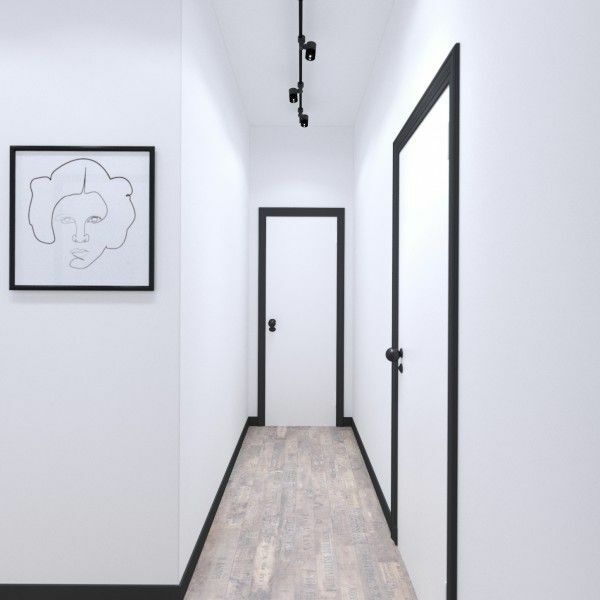 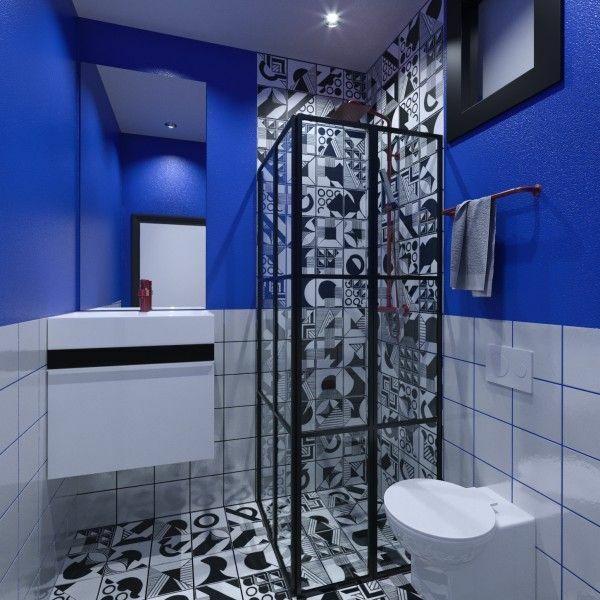 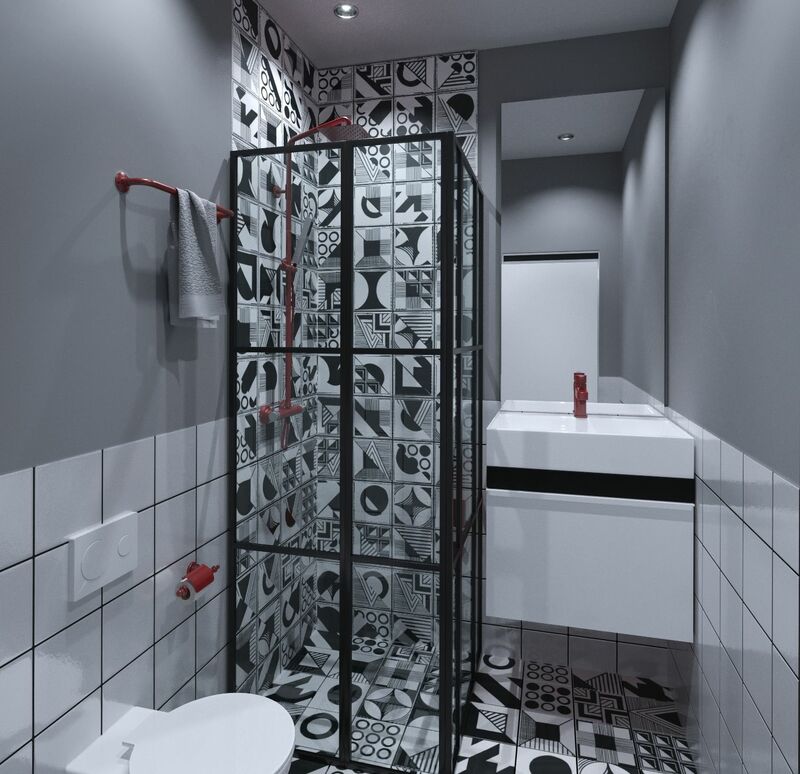 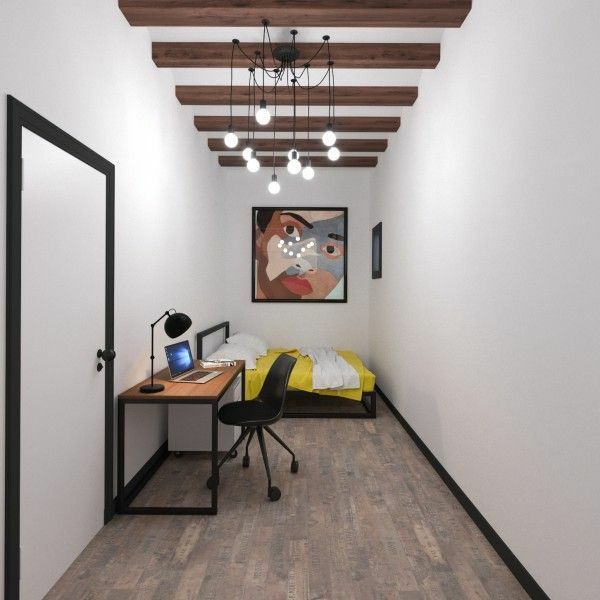 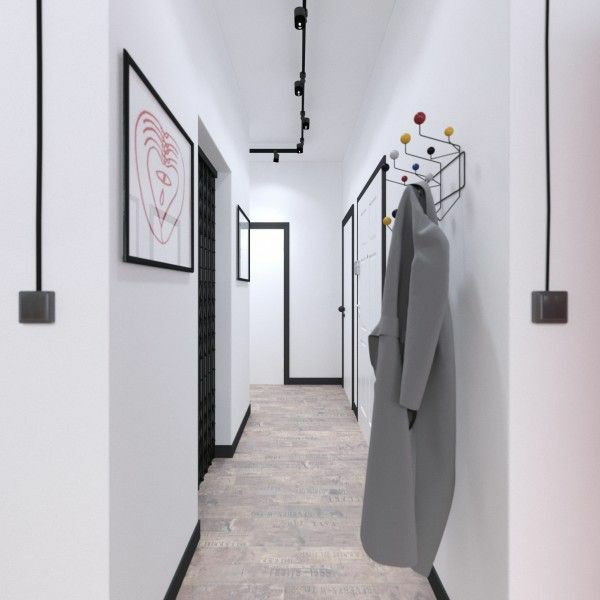 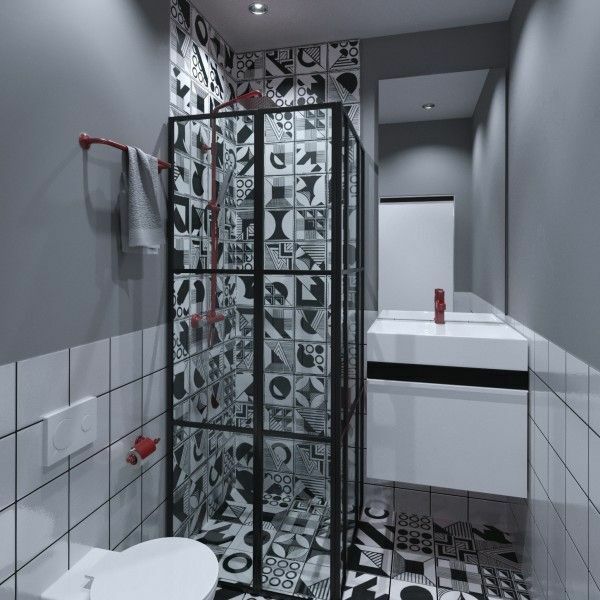 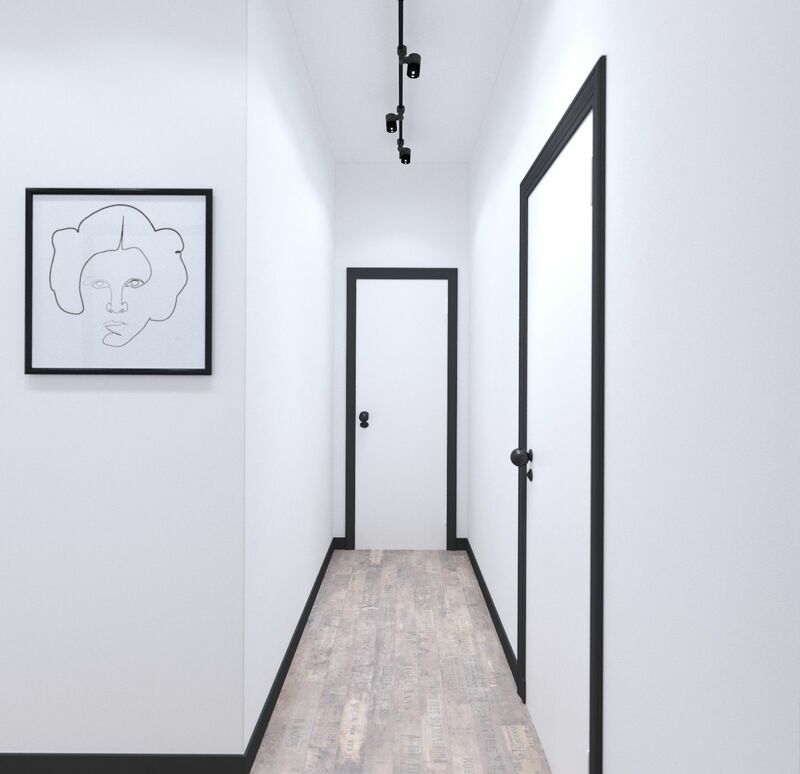 The design is bright and brave, and it is built on large color spots, surrounded by a contrasting black line of baseboards and door trims, passing through the whole apartment and as if it were drawn by a black pencil in space.